ENIAC, First Digital, Electronic Computer Completed. Price: $486,804.22. The project contracted by the Army for ballistic missle calculations to for use in World War II, but the project wasn't completed until the war was over. Univac, First Commercial Computer. Prices vary from $159,00 to 1,500,000. One was purchased in 1954 by John Hancock Insutrance for about $1,500,000. IBM Sells First Hard Drive, 5 MB for $50,000, $10,000 per megabyte. 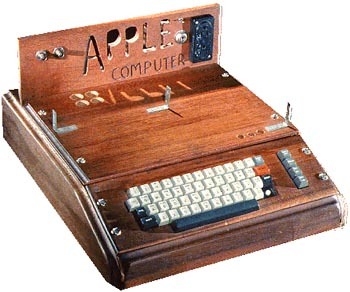 Developed at IBM labs in San Jose, CA. transitors per chip every one to two years. In the video at right, Gordon Moore, a founder of Intel, talks about the manufacturing process and factors driving cost reductions in the computer industry. The Moore's Law page at Intel presents innovations driving the industry and a graph of the number of transistors per chip. The wikipedia article notes that the name Moore's Law was coined by Caltech Professor Carver Mead. This link to the Intel on-line museum shows some of the original long-term average cost curves sketched by Gordon Moore that became the basis for Moore's Law. 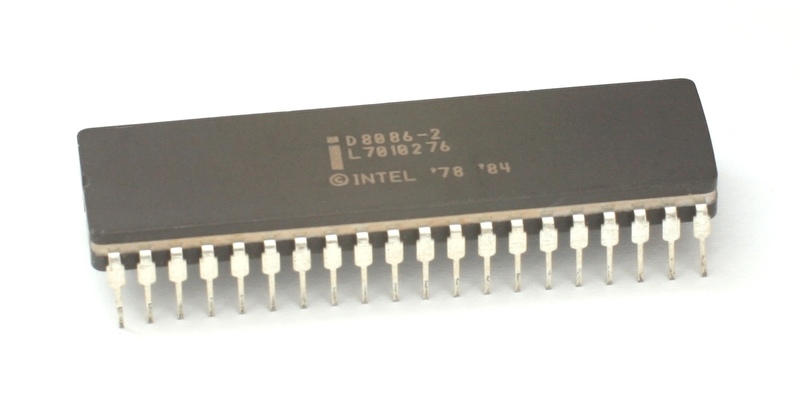 Intel’s first processor (4004) introduced for the calculator market with 2,300 transistors and running at 400 KHz. Cost a little less than $100 when marketed, about 4.4 cents per transistor. Developed at Intel in Santa Clara, CA. 3COM (company history) ships the first Ethernet Network Interface Card (NIC). Robert Metcalf, who worked at Xerox Parc, gets most of the credit for the idea of developing a simple, cheap networking technolgoy to connect Xerox copying machines. The idea didn't catch on a Xerox, so Metcalf formed his own company. At right are images of an early ethernet card and sketches for the ethernet network. Technical ethernet history. running at 6 MHz with 134,000 transistors, priced at $360 (also see). 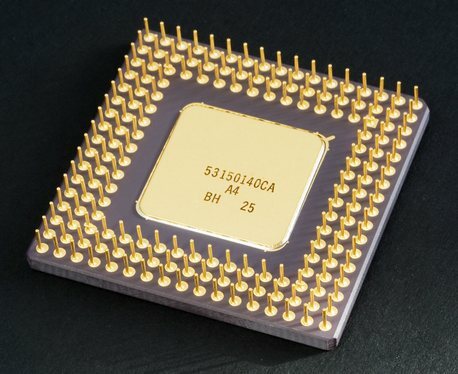 Intel introduces the third generation personal computer processor, the 80386 running at 16 MHz with 275,000 transistors, priced at $299. the 80586 (the Pentium) running at 66 MHz with 3.1 million transistors. Panasonic introduces a four foot plasma display for $22,000. Intel introduces the eight generation personal computer processors (Pentium 4), running at 1.5 GHz with 42 million transistors.